Post a disastrous 2016 and early 2017 thanks to the Galaxy Note 7 battery issues, it seems Samsung had turned the tide and made sure none of that is repeated. But late in 2017 reports of a strange new battery issue started emerging and this time Samsung has been much faster to react than before. Even though the Galaxy S8, S8 Plus and Note 8 have earned great reviews and no serious battery problems were seen, some users are reporting that completely discharged Note 8 devices are getting bricked, which means they just don’t power on. Users said some Note 8 could no longer be charged and that they were not able to switch the device on even after attempting to charge it. Samsung face a massive task of getting back on track with the Galaxy Note 8 after the Note 7 fiasco in 2016. And now it sounds like we’re all back to square one again. The renewed battery-related issues beg the question whether there’s something lacking in Galaxy Note 8’s internal hardware design, just like it was with the Note 7. The exploding Galaxy Note 7 wreaked havoc and caused panic across the globe, because Samsung tried to cram a larger battery pack into a smaller tight space. This issue was fixed with the Galaxy Note 8 by opting for a smaller battery pack but that’s not done the trick. No one wants to turn their $1000 phone into a glass-and-metal brick, and while this issue is not as dangerous as an exploding Note 7, users have no choice but to hope they don’t suffer the same fate as Note 7 users. For now, ensure that the battery on your Note 8 does not run out completely. And if the phone has died and won’t come on, it’s better to contact Samsung as they are likely to send you a replacement or help you get a new unit. After the Note 7 fiasco, it’s best to be safe instead of trying things that might make the situation worse. 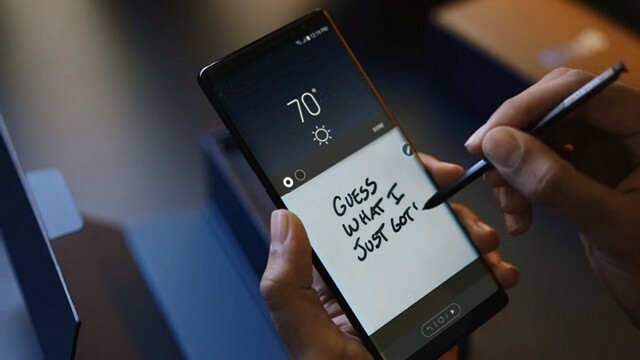 Have you faced any similar issues with your Galaxy Note 8? Do let us know your experience with the device in the comments down below.